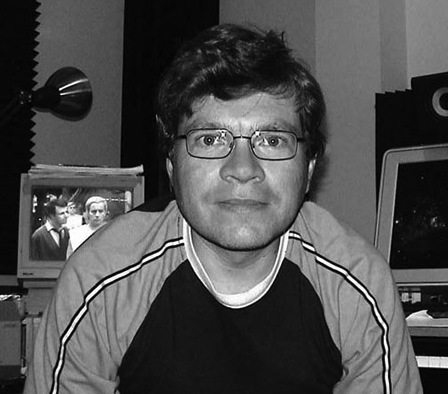 In 1990 Latham commissioned composer Mark Ayres to compose a score for his computer art film The Evolution of Form. After the success of the film winning numerous awards Ayres went on to compose the scores to three more of Latham’s films: The Conquest of Form (1990), The Process of Evolution (1990) and Mutations (1991). In 1989 Ayres also scored a TV documentary on Latham’s work entitled Art and the Computer: An Insight into the Work of William Latham. 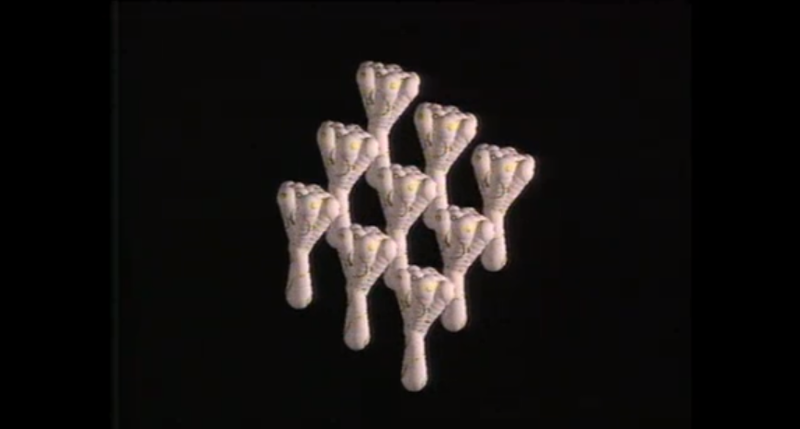 William Latham, still from The Conquest of Form, 1990. Computer generated animation. 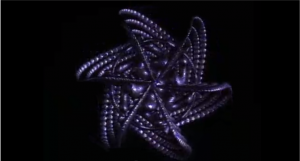 William Latham, still from The Process of Evolution, 1990. Computer generated animation.